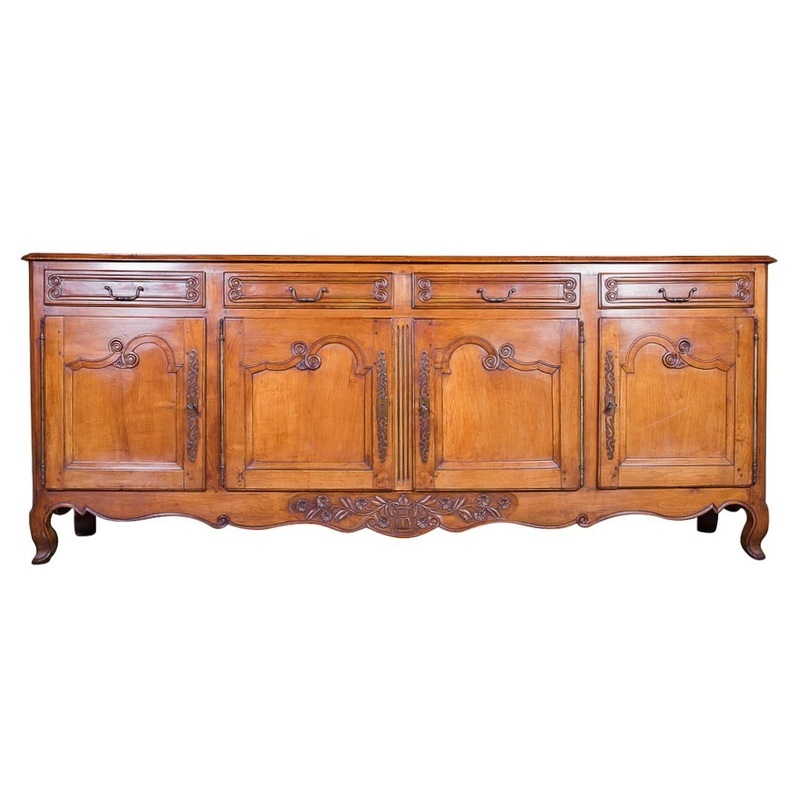 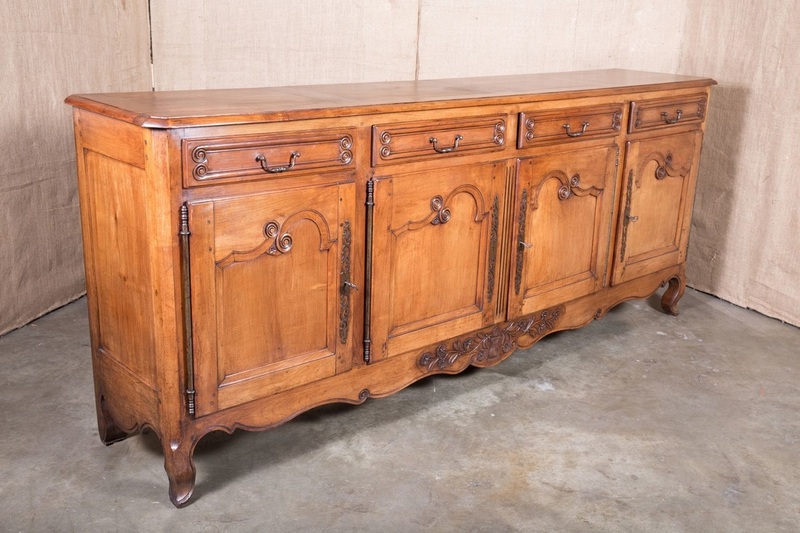 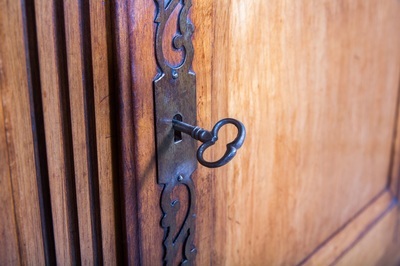 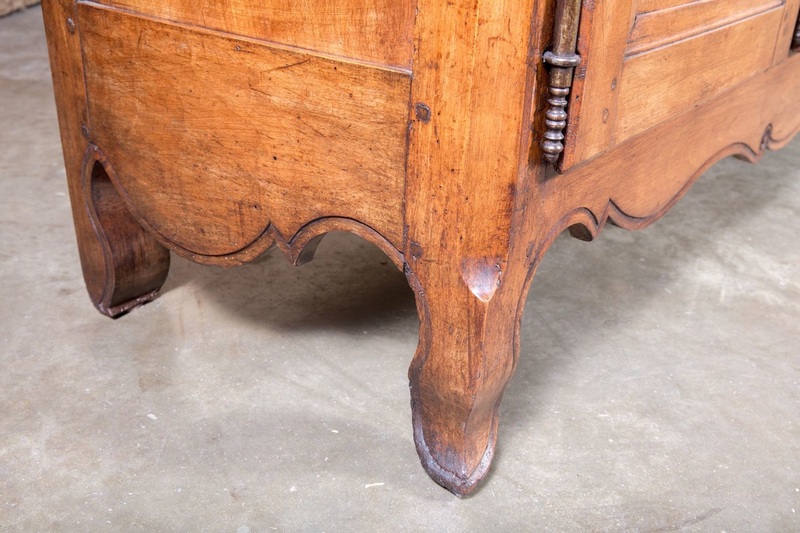 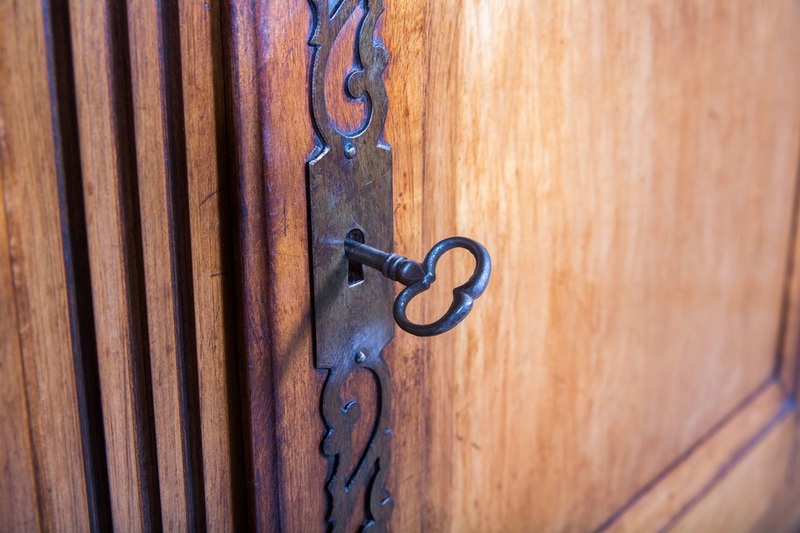 ﻿﻿﻿﻿Louis XV style Rennaise enfilade handcrafted of solid wild cherrywood with a lovely sun bleached patina and typical ornamentation that readily identifies the work of country cabinetmakers in and around Rennes. Circa 1870s. 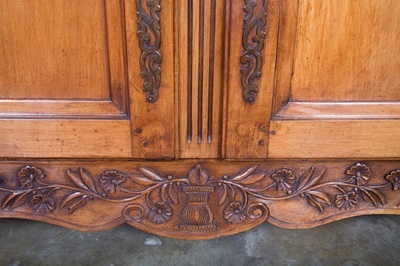 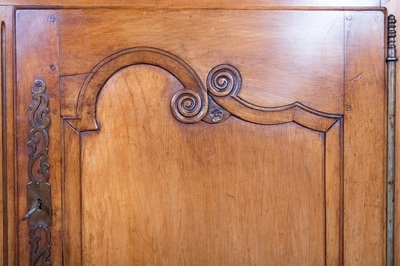 Four carved drawers over four moulded paneled doors having flowers and c-scrolls ending in volutes with a reeded center stile and chamfered corners. 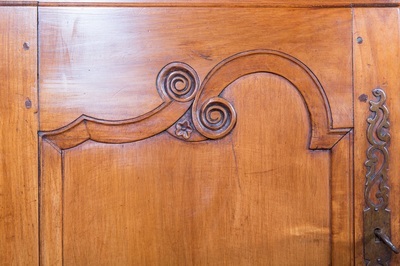 Apron with a carved urn filled with stylized plumes of feathers, blossoms, leaves and tendrils rests on short curved legs ending in pied de biche (hoof feet). 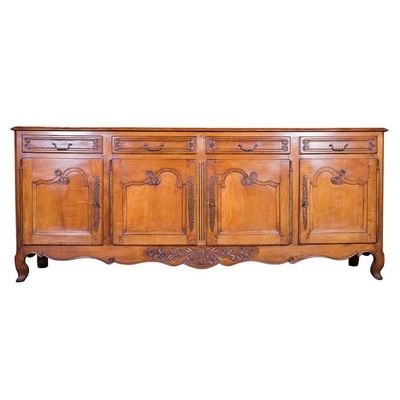 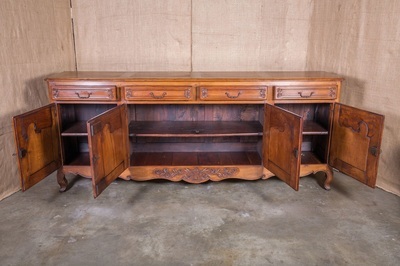 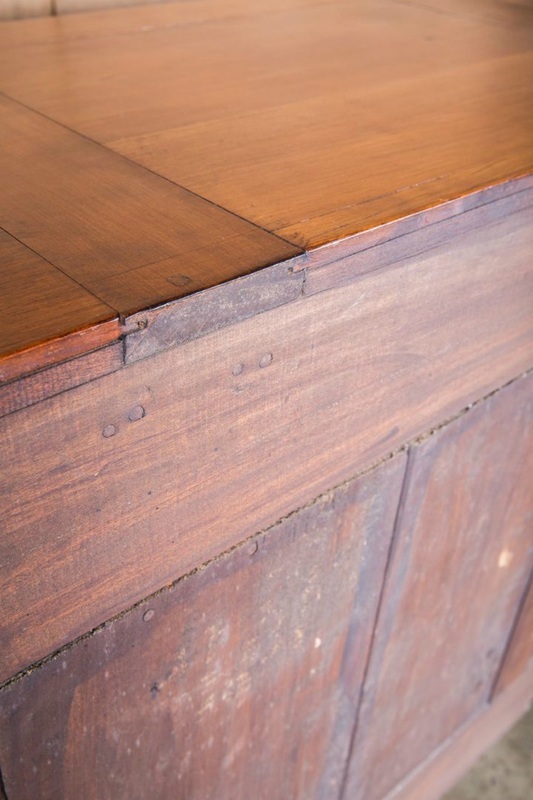 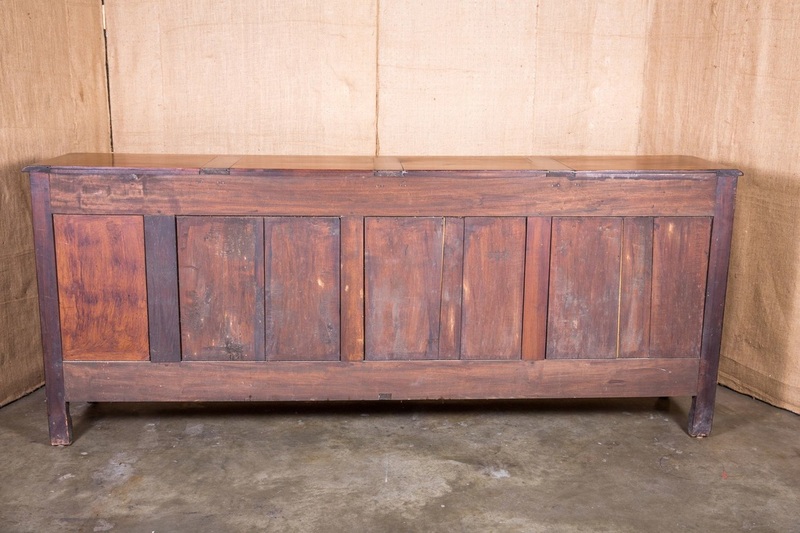 The monumental length of this piece ensures ample storage and makes it ideal for a large dining space. 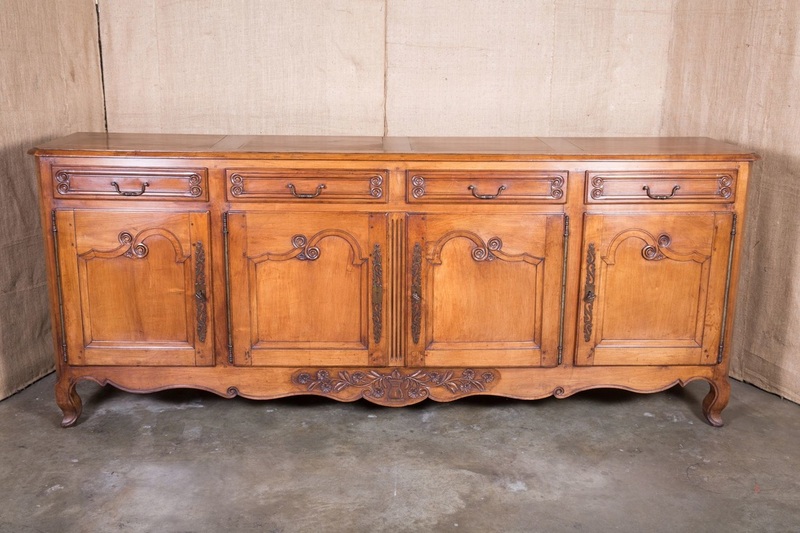 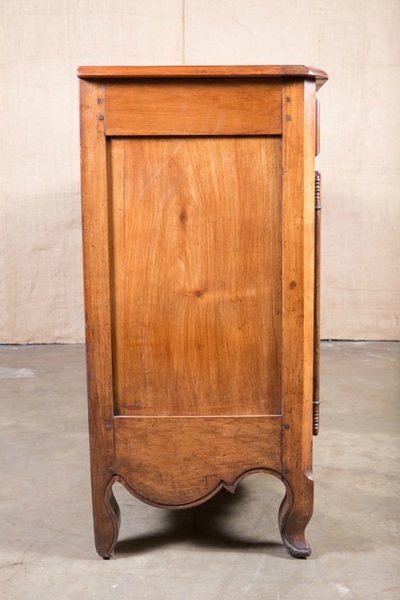 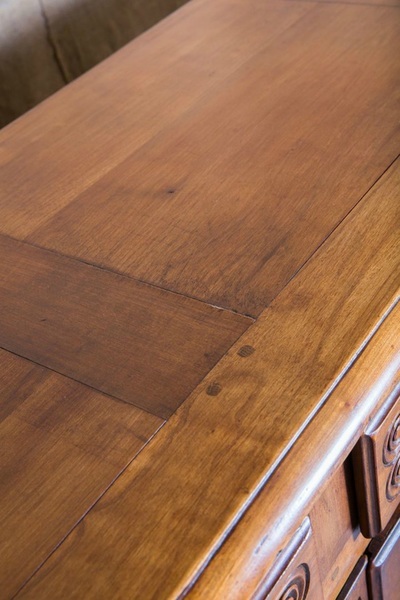 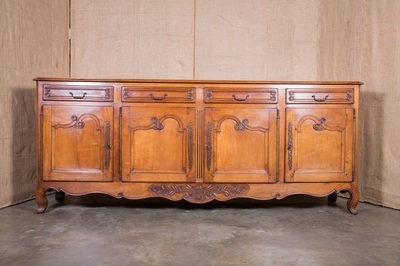 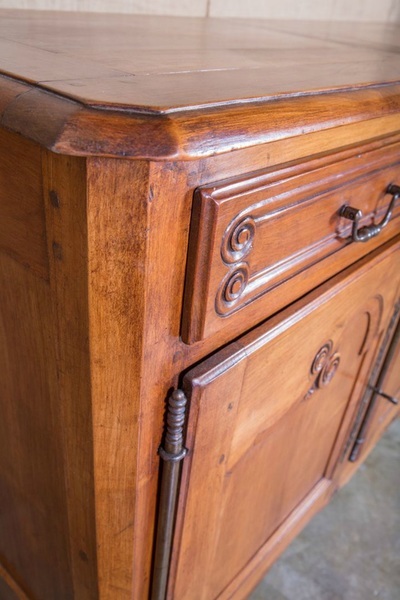 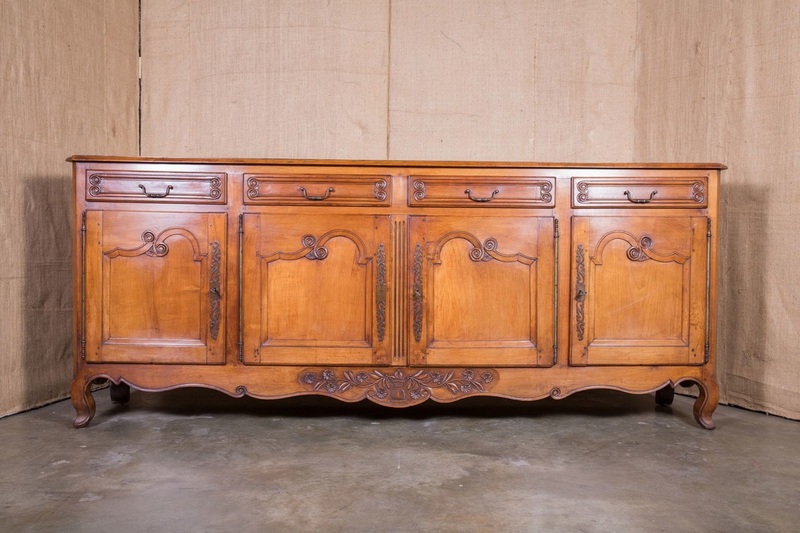 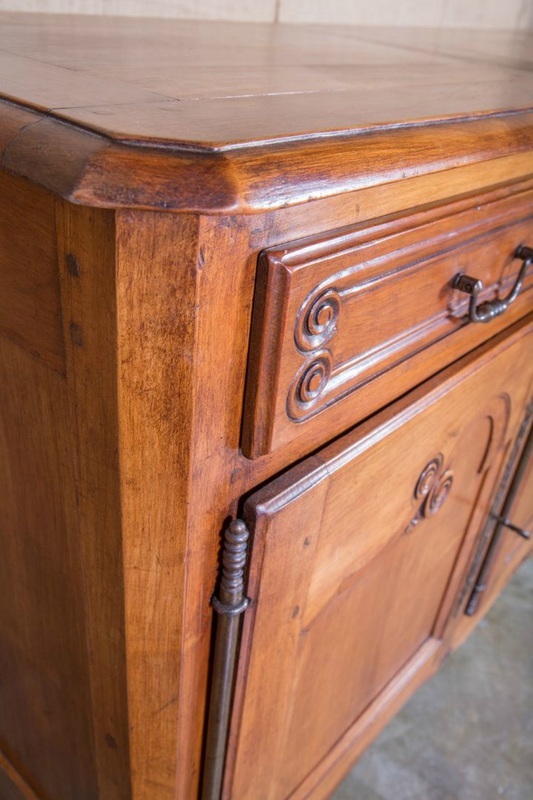 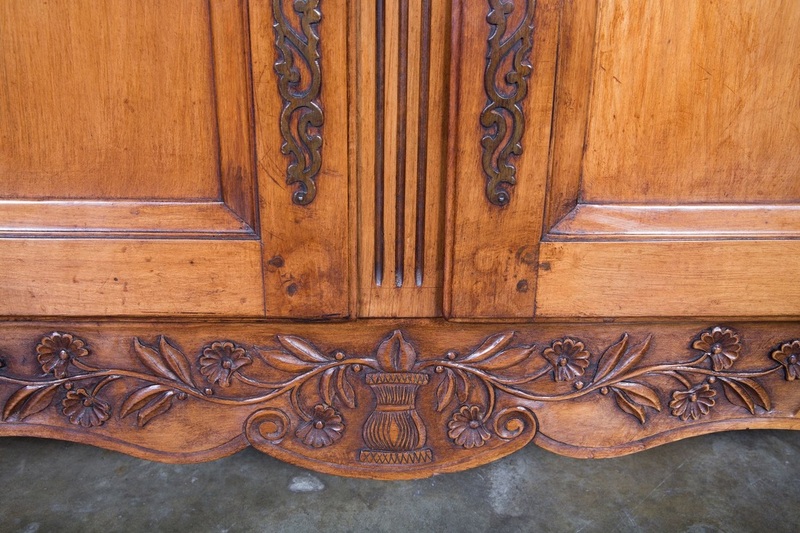 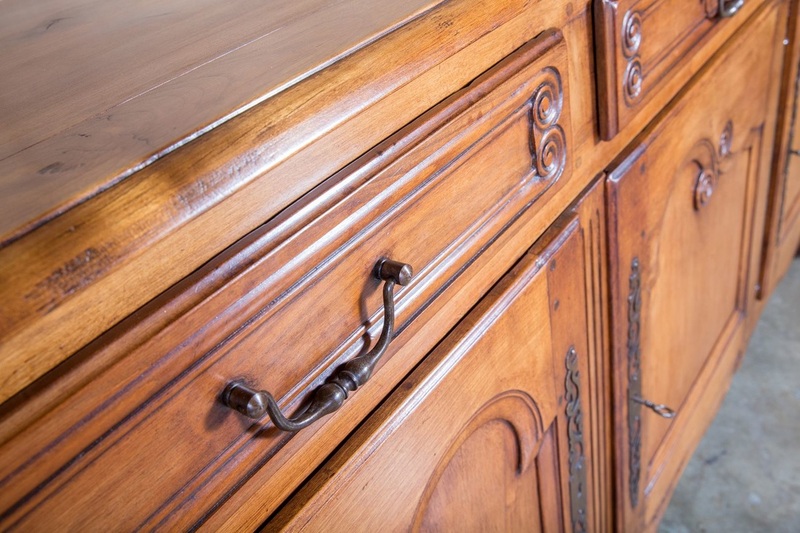 The term enfilade refers to a long buffet in which the cabinet doors reveal connected compartments in a row. 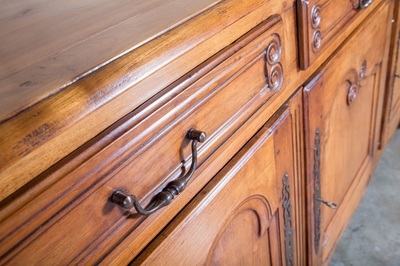 It is a long buffet and must have at least three or more cupboard doors. Literally, from the French word "enfiler" meaning "to run along."